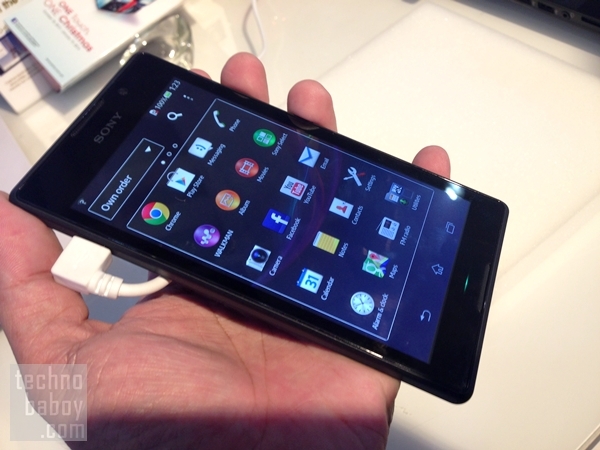 The Sony Xperia C is expected to be one of the hottest Android phones this holiday season. This is because the phone has a distinct Xperia design and a 5-inch display yet, it is affordable. At Sony concept stores, the Xperia C is priced at P13,990 while in online shops, you can get it for as low as P11,990. The Sony Xperia C features a 5-inch qHD display with 540×960 resolution (220ppi), dual-SIM functionality, 4GB internal storage with microSD card expansion up to 32GB, 1.2GHz quad-core processor, 1GB of RAM, 8MP rear camera and 2390mAh battery. Here are the Xperia C’s main specs. 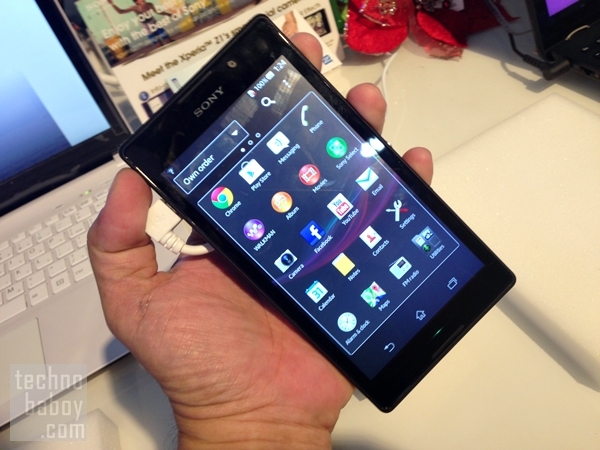 I was able to check out the Xperia C at a Sony concept store and I played with the device for close to an hour. My impressions are good, although admittedly, the phone sacrificed features and performance in order to arrive at a low price point. Overall, the Sony Xperia C is a good device. The specs set definitely make the price very reasonable. From afar you would not know it’s a low end Xperia device, although up close, you will immediately notice that the Xperia C is not an Xperia Z1. The Xperia C is a bit thicker, although not by much, and the overall feel is not as reassuring as the Xperia Z1. The other main thing I noticed is the rather washed out display. The Xperia Z1 and the Xperia Z Ultra have good displays, although they both have poor viewing angles compared to displays like the ones found on the iPhone 5S, the HTC One and the Samsung Galaxy S4. With the Xperia C, the problem is more evident. The display seemed to lack contrast and the viewing angle leaves much to be desired. However, the fact that Xperia C only has a 540×960 resolution (220ppi) did not seem to be a problem. The display still seemed sharp, although not that sharp. For most users, the sharpness would not be a problem. The issue, really is the display’s contrast and viewing angles. In terms of performance, the Sony Xperia C seemed fine. I did not encounter serious issues with multi-tasking and with opening and switching apps. The high end Xperias are admittedly much smoother but the Xperia C is still good. The camera on the Xperia C is just decent, not great. Shots appeared overprocessed and I was looking for the sharpness that are present in shots from high end Xperias. 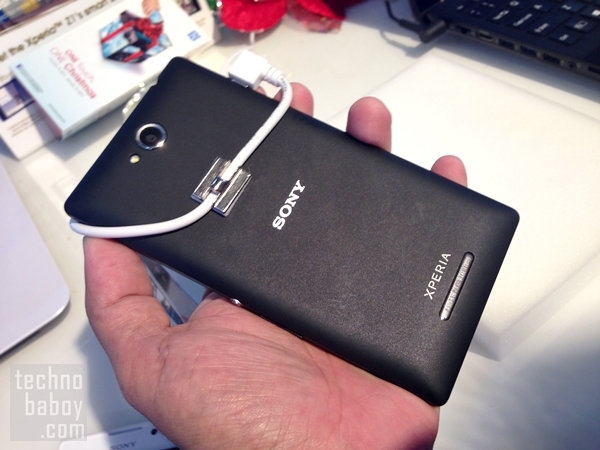 The Sony Xperia C is worth looking into if you are hunting for a bargain Android phone. At P13,990, it is a good purchase considering the specs and features. I actually like the design of the Xperia C and its performance is good enough for majority of users. Just make sure, however, that you will get several compromises like the paltry 4GB internal storage, less than stellar display, and less than ideal build quality. Look for full reviews of the Xperia C if you need more detailed impressions and more accurate info on performance like the ones based on benchmark tests.